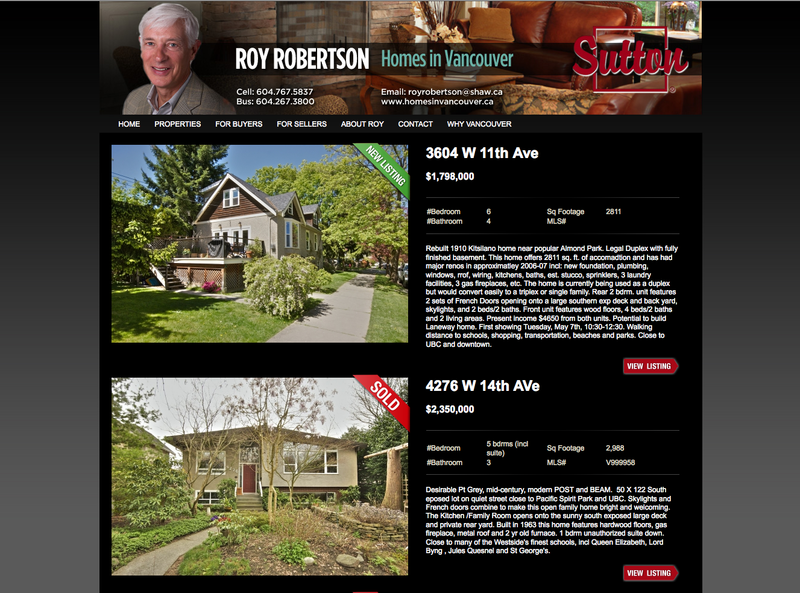 Homes in Vancouver is a website for Realtor® Roy Robertson. Roy needed an overhaul to his old website. The new website needed to be easy to use and easy to update with alot of flexibility.